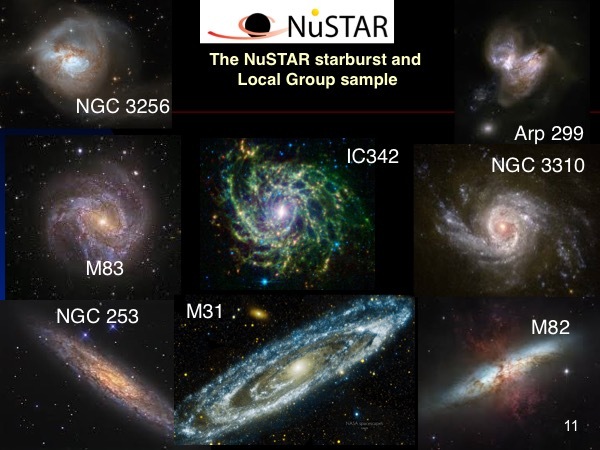 Shown is a sample of nearby galaxies studied by NuSTAR. Our group is studying the black hole and neutron star binary populations in these galaxies. Differentiating black hole from neutron star in X-ray binaries can be done by investigating their curvature and spectra. Similarly, as black hole binaries move through different accretion states, their X-ray spectra change dramatically at > 10keV, much more so than at lower energies. 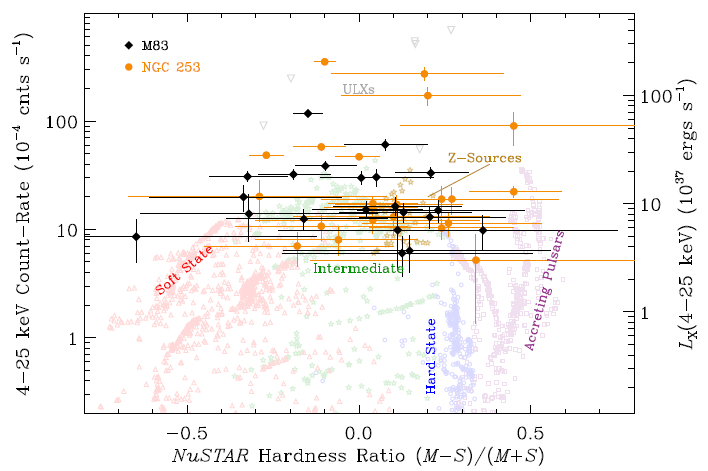 NuSTAR's great increase in sensitivity at > 10keV over the past missions has provided the opportunity to constrain the nature of the resolved sources and to investigate accretion states of black hole binary populations in nearby galaxies for the first time.